At Little Miami Farms, we grow hops to supply local craft brewers. We take great pride in the attention we give our plants. Cascade – Cascade’s real strength in brewing is in the aroma – citrusy aroma, sometimes compared to grapefruit; dual-purpose, developed in the 1950s; one of the “3 C’s” (along with Centennial and Columbus/CTZ); (alpha acid 4.5%-7% / beta acid 4.5%-7%). Lends itself to Pale Ales, IPAs, American Pale Ales, ambers, reds and wheats. Centennial – Dual-purpose American hop released to the public in 1990; citrusy aroma but more bitter than Cascade; one of the “3 C’s”; (alpha acid 9.5%-11.5% / beta acid 3.5%-4.5%). Centennial works undoubtedly well in Pale Ales and India Pale Ales, where some bottom line bitterness in beer is needed with the top end aroma, but also works well for reds, ambers, browns, and wheats. Chinook – Strong American bittering cross released in 1985; called a “Super alpha” for its bittering qualities, also has great aroma qualities for dry hopping with a Cascade-like aroma, and somewhat spicy bouquet. Some piney and herbal notes will be evident in a fresh batch. (alpha acid 12-14% / beta acid 3-4%). Chinook is popular in American style beers such as Pale Ale and India Pale ale, but extends itself well to Seasonal Ales, and darker beers including Porter, Stout, and Barley Wines. Nugget – Dual use American hop released in 1983; heavy herbal aroma. Acute bitterness provides the umph in many beer styles that require the hop jolt including imperial style ales. Ideal for dry hopping; (alpha acid: 9.5%-14% / beta acid 4.2%-5.8%). Versatile, can be used to make a variety of brews including IPA, Pale Ale, Blonde Ale, American Wheat, Extra Special Bitter (ESB), American Pale Ale, Imperial India Pale Ale, Irish Stout, Oktoberfest, Rye Ale, Best Bitter, Extra Pale Ale, Barley Wine or Strong Ale. Zeus – This variety also has other names including CTZ, which stands for Columbus, Tomahawk, and Zeus; one of the “3 C’s”. 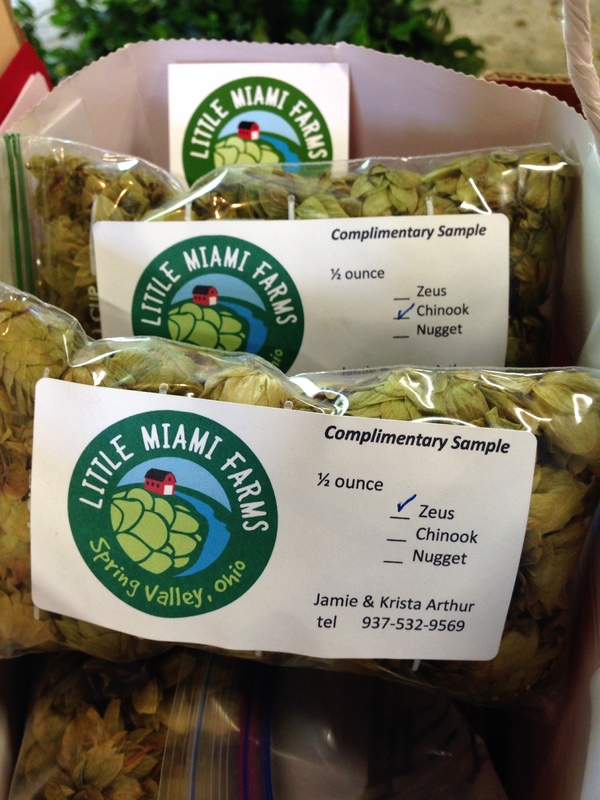 Zeus makes a great dual purpose hops in beer. It brings both a bitterness kick to the table as well as strong dreamy aroma. In the same capacity this variety is commonly used for late-boil or dry hopping for its herbal, earthy character. The aroma is pleasing and citrus notes may be found in fresh batches. (alpha acid: 14.0-16.0% / beta acid: 4.5-5.5%). It is ideal for laying the bitter foundation for beers such as Pale Ales, India Pale Ales, Stouts, and anything Imperial. Crystal – Released in 1993, these low alpha acid aromatic hops brings with them a mix of woody, green, some floral and fruit notes, with some herb and spice character. Crystal is a half-sister of Mt. Hood and Liberty (alpha acid: 4.0-6.0% / beta acid: 5.0-6.7%). Crystal Hops lends itself to a number of beers like Light Ales, such as Goldens, Pale Ales, Aroma for India Pale Ales, and even Stouts and Lagers. Southern Cross – Dual purpose aromatic and bittering hop developed in New Zealand in 1994, provides a delicate balance of citrus and spice, including a heady mix of lemon peel and pine needles. (alpha acid: 11.0 – 14.0% / beta acid: 5.0-6.0%) Southern Cross lends itself to Pale Ales, IPAs and Lagers. Contact us if you are interested in our 2016 crop.